The 18th Amendment to the 1973 Constitution of Pakistan disentangles overlapping spending responsibilities between the federation and provinces in a wide range of functions, devolving them to the latter. The legislation was also a reaction to relatively poor service delivery and living standards that had fallen continuously behind those in other countries in South Asia, and, indeed, are now lower than sub-Saharan Africa in most respects. The Musharraf government had used this argument for its own decentralization effort—delegating power to the districts and bypassing the political centers of power in the provinces. The 18th Amendment reasserts the provinces’ power and the associated political centers of power. It is designed to weaken the center, and correspondingly make it less attractive for the military to assume power by moving against an elected Prime Minister, as it has done periodically in Pakistan’s history. But will this major reform work effectively and ensure higher living standards for all people in all the provinces? To what extent is the need for a national identity important in ensuring that the decentralization does not cause the federation to unravel or the overall delivery of public services to deteriorate and lead to greater exclusion of the poor? These are important issues and could well determine the fate of the 18th Amendment as well as social stability in Pakistan. Pakistan’s taxation system has come under intense scrutiny in recent years. The country’s low and declining revenue yield has been attributed to wide-ranging concessions and exemptions, large-scale tax evasion, and a slack and corrupt tax administration. This has led to the perception of a virtual breakdown of tax compliance in the country. Improving the tax effort has now become the lynchpin of any future economic reform process. Experience shows that this will require political determination in order to overcome the resistance from powerful vested interests. In addition, tax collecting agencies such as the Federal Board of Revenue (FBR), will need to undergo fundamental improvements to successfully implement the required changes in tax policy. The objective of this chapter is to describe Pakistan’s taxation system both at the federal and provincial levels, followed by an in-depth diagnosis of the factors contributing to the exceptionally low tax-to-GDP ratio. We also assess the level of tax rates, the magnitude of tax expenditures (revenue losses due to concessions and exemptions in the tax code), and the extent of tax evasion. Based on this diagnosis, we identify the key elements of a reform package in the areas of tax policy and administration. This set of reforms will promote transparency of the tax system, improve the progressivity of the tax burden, and remove distortions in the allocation of resources in the economy. Importantly, the various measures proposed will help in significantly raising the tax-to GDP ratio. The idea that trade is important for economic growth dates back to the nineteenth century when classical economists such as Adam Smith, David Ricardo and John Stuart Mill advocated the favorable effects of international trade on output. Since then, a rich body of theoretical and empirical literature has evolved with regard to the role of trade in growth and development. Initially, post-Second World War, development economists viewed trade as a negative factor in developing countries’ industrialization objectives, and from the 1950s through the early 1970s most newly independent countries adopted an import-substitution industrialization (ISI) strategy. By the mid-1970s, however, there was growing disenchantment among development economists concerning ISI and in favor of the export-led growth strategy that several East Asian countries had successfully adopted. Subsequently, this was formalized in what is referred to as the Washington consensus: generally described as an outward-oriented development (OOD) strategy, it has since been adopted by most developing countries. According to proponents of the OOD strategy, outward orientation can promote economic growth through three main channels. The first is trade, which enables firms (at the micro-level) and countries (at the macro-level) to gain through specialization and economies of scale. This is because increased competition results in the least efficient producers being driven out of the market, while the most efficient producers expand their market share, thus raising aggregate productivity through the reallocation of resources (Tyler, 1981; Melitz, 2003). The second is exports, which serve as the primary source of foreign exchange needed to purchase imported inputs such as raw material and machinery and, more broadly, to help ease the balance of payments constraint (Faridi, 2012). The third channel involves trade as an important source of knowledge and technology transfer, with the potential to encourage innovative activity—such as research and development, and the introduction of new products and processes—by increasing the returns on innovation as exporters have access to a larger market than nonexporters. This chapter aims to discuss the crisis of the power sector in Pakistan—its origin and challenges—and, most importantly, to suggest strategies and possible solutions for coping with it. A sufficient energy supply is indispensible for all economic activity and for ensuring sustainable economic growth and development. Regrettably, Pakistan’s power sector is beset by a crisis with the demand–supply gap growing continuously to unmanageable proportions. The electric power deficit has crossed the 5,000 MW level many times during 2011 and 2012; in the second week of June 2012, this shortfall had surpassed 8,000 MW. The main reason for this growing gap is not only the rising demand and high system losses, but also the declining generation capacity. Seasonal reductions in the availability of hydropower, reductions in indigenous gas resources, the country’s heavy reliance on imported fuel oil for power generation, and forced power outages due to capacity degradation or scheduled outages for the maintenance of existing power plants are all responsible for the declining generation capacity. The unavailability of oil—given the economy’s mounting circular debt as the government fails to adjust energy prices to reflect supply cost—has only accentuated the energy crisis. The main thrust of this chapter is that Pakistan is finally in a position to move forward and set its economy not only on the path to recovery, but on a trajectory that will ensure high levels of sustainable growth. This could happen since some of structural problems that have dogged the political system since its creation seem to be nearing resolution. Since there is a close connection between political and economic developments, this advance in the former will have positive meaning for the latter. Pakistan may well be on its way to developing a new way of managing its affairs—meaning the way in which the political system is run, how the economy is managed, and how social interactions take place among different segments of the population. With the adoption of an appropriate set of public policies, it may also be possible to pull the economy out of the deep slump into which it has fallen and achieve a much higher rate of gross domestic product (GDP) growth. This way of thinking about the future seems much too optimistic for a time that brings grim news every day—of an economy that is not able to move out of the slow growth groove in which it has been stuck since 2007; of national bankruptcy believed to be just around the corner; and of a country increasingly isolated in a world that is busy reorganizing itself. The GDP growth rate has been on a declining trend since the 1965 war with India. For the last six years, the average rate of growth has been just slightly more than 3 percent a year—only one percentage point above the estimated yearly increase in population. Over the last 65 years, the Pakistan economy has displayed considerable resilience as it has moved through recurring economic cycles of high economic growth followed by prolonged spells of low growth. Its average economic growth of around 5 percent during this period would be considered respectable by most developing countries’ standards, even though this performance is now clearly overshadowed by the stellar growth rates achieved since the 1980s, first by the East Asian economies, followed by China, and then till recently by India. Is there a limit to the strain that even a reputedly resilient economy can bear? After being mired in deep stagflation for the last five years (2009–13), there is a growing despondency that the Rubicon may well have been crossed. Breaking out of the current recession will need firm and resolute policy action and a commitment to deep economic reforms. The time to resort to easier options such as external financial support as a means to procrastinate on essential economic reforms has now passed. Neither is external assistance going to be so easily forthcoming after the country’s dismal record of reneging on promised reforms, nor for that matter will it be sufficient. The problem is now much more deep-rooted and structural. It is no longer business as usual to rekindle sustained growth. Pakistan has had a checkered economic and political history. The country’s periods of rapid growth in the 1960s, the first half of the 1980s, and 2002–07, have been followed by periods of sharp economic slowdowns. Sustained economic growth has been elusive; there has been no real deepening of the structure of the economy, and social and distribution issues have become increasingly troublesome. 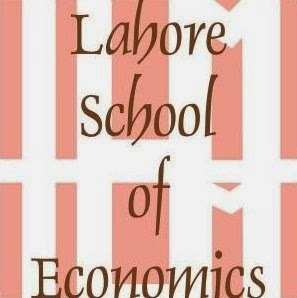 Yet Pakistan has somehow managed to attain an annual average gross domestic product (GDP) growth rate of 5.2 percent and a per capita income growth rate of 2.5 percent over the last half-century (1960–2010) that has more than trebled the average living standard over the period. The distribution of gains from growth has, undoubtedly, not been equitable. However, the country’s economic record, though of course not able to match that of East Asia—especially China, and more recently India—seems to compare favorably with the average for developing countries. This is no mean achievement considering the great deal of political instability and long periods of military rule that entailed relatively good governance but a high cost in terms of defense spending, continued tension with India, and weakening institutional authority. 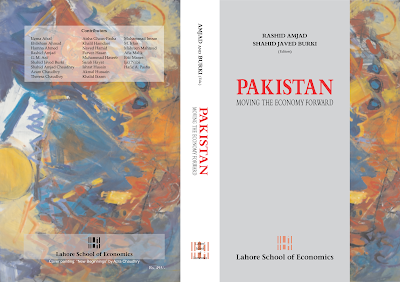 When we, the two editors of this volume, joined a group of South Asian economic experts at a meeting held in Kathmandu, Nepal, in the summer of 2011, there was much discussion on the economic gains to be made if the South Asian countries could work together. We discussed how the differences in the endowments and advantages of these countries could be aggregated and used for the benefit of the entire citizenry. “Connectivity” was another subject of great interest. In meetings such as these, there is as much talk around the table as off it. The Kathmandu meeting was no exception. Several of us spent a few evenings together reflecting on how the possibility for achieving the regional goal could be realized in South Asia. In our discussion, we were struck by one thing: there was a great deal of hope expressed by the representatives from Bangladesh, India, and Sri Lanka about their countries and how they could contribute to regional integration and South Asian development. Even the Bhutanese and Nepalese at the meeting thought that their most significant difficulties were behind them. It was only the Pakistani group that displayed some diffidence. It was at some point in this discussion that we began to ask whether Pakistan had been dealt such a poor hand that it could not sit at the table with hope and play the game the other South Asian nations were eager to join. 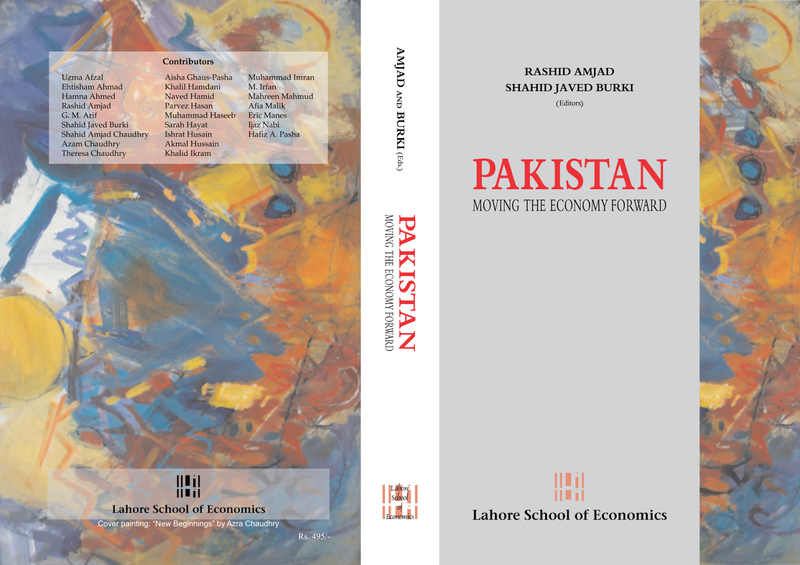 It was then that the idea of assembling a book of essays on Pakistan’s future was born.